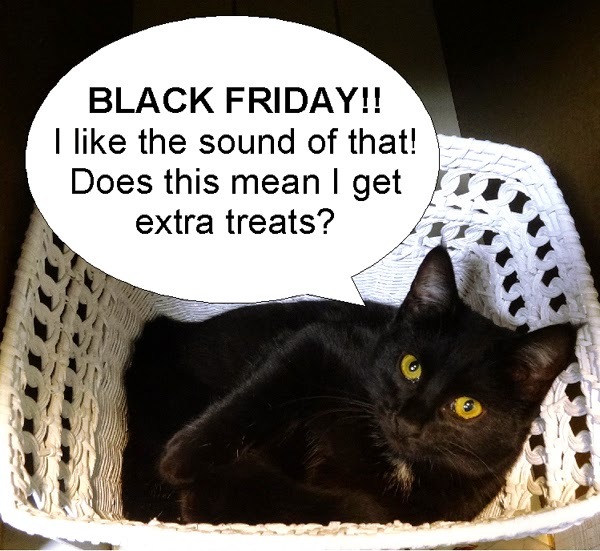 Is YOUR black cat celebrating today? Post their pics on my FB page! First of all, I'm thankful for my Kickstarter backers. Thanks to you, my Kickstarter project has met its financial goal and it will be funded when it ends on Tuesday! Cue the fireworks! I'm so excited that I will now be able to take my "A Bouquet From The Cat" designs to our local printer and have them made up into cards and giclee prints. And I'd LOVE to add MORE designs. In the mean time, I'm counting my blessings: family and friends, my kitties, my art supplies, a warm house, food in my fridge, the beauty of Mother Nature, and generous strangers. I hope all of you have a blessed and delicious Thanksgiving tomorrow, and I look forward to fulfilling the pledge rewards over the next few months. 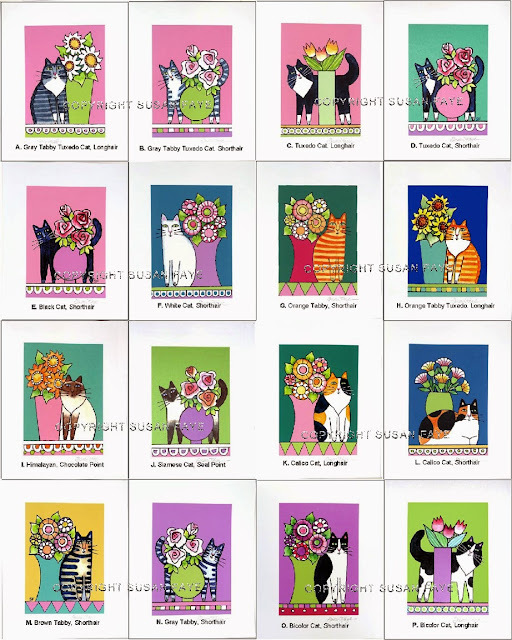 NEW Bouquet Cat Designs! VOTE For Your Favorite Today! Hello Beloved Backers old and new! Thank you, thank you, fantastic feline fanatics, for your generosity in supporting this project. As of this writing, we are just $40 shy of the funding goal, so I have great confidence that hitting the $1200 mark is very close at hand. 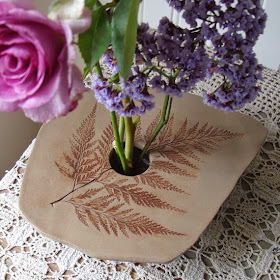 Please vote for your favorite 2 new designs in the comments section of this blog post. Voting will end tomorrow night, Wed. November 27 at 5 p.m PST. I will also be accepting votes on my Facebook page and Kickstarter Update #2, but please, only one vote per person (that is, one vote for two designs-- clear as mud, right?). STRETCH GOALS: For each $100 we reach beyond the $1200 goal, I will be able to add another TWO designs to be printed! For example, if we reach $1500, I'll be adding 6 new designs to the original 16. Thank You SO MUCH!! Buttonwillow, Inka and I appreciate all of your help and support! 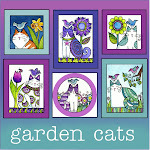 It's a Bouquet Cat Giveaway! First, a big THANK YOU to all of my generous backers so far who have supported my "A Bouquet From The Cat" Kickstarter Project! Thanks to you, I am now over halfway to my goal in the first week! 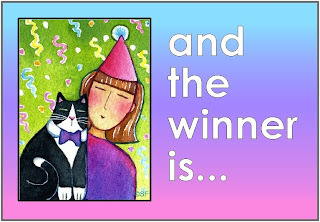 THE GIVEAWAY: The prize will be one dozen deluxe notecards, your choice of designs! (including shipping, it's a $45 value!). The winner will receive these cards in early December. To enter, just tell me what your favorite bouquet is-- tulips, roses, carnations, sunflowers, mixed bouquet, etc.-- in the comments section below. Entries will also be accepted on my Facebook page. 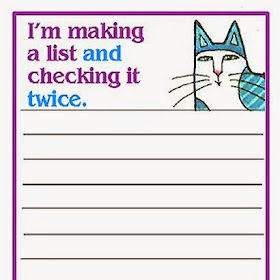 ...for each extra entry, come back and leave a separate comment saying which one you did. Each comment will count as one entry. The giveaway will end Saturday evening, November 23, at 5 p.m. PST, at which time I will select 1 name at random from all of the entries. Please make sure that I have a way to contact you if you are the winner, such as a link to your blog or e-mail address included in the comment. If you don't want to make your contact info public, You may send the contact info directly to my email . 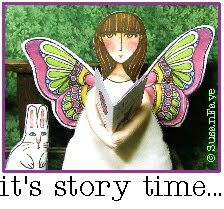 If you visit www.susanfaye.net , you will find an email link. 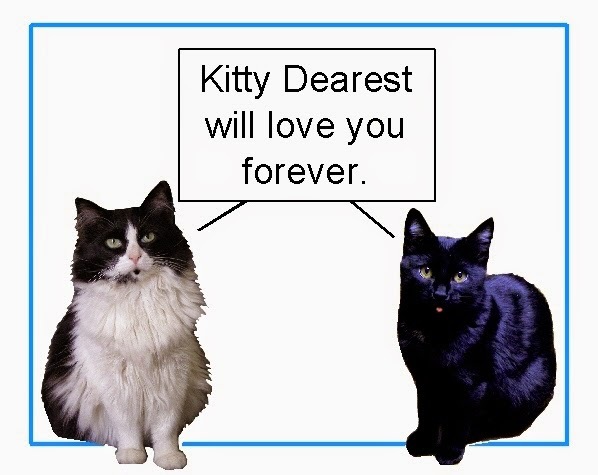 As part of my "Bouquet From The Cat" Kickstarter Project, I am offering custom portraits of your very own kitty dearest (or that of a loved one). Here is how I create them, step-by-step. Finally, I use my waterproof black pen to make an extra embelishment around his name and sign the artwork. Ta-da! It's ready for framing! 1. 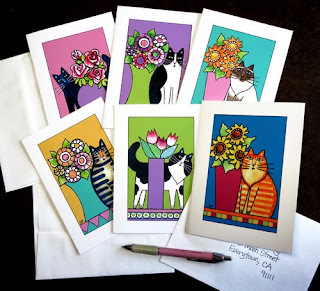 By making a pledge if you haven't already (you'll get to choose "Bouquet" cat art rewards like notecards, prints or custom cat portraits like Tamayo's!). "Hey there! 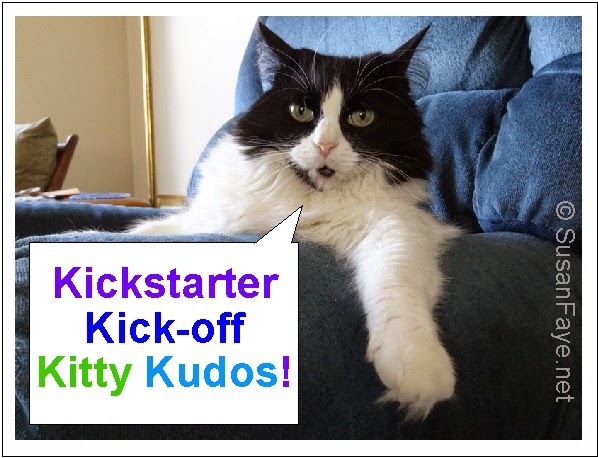 Kitty Kudos and salutations to all of our beloved backers so far, who helped to kick-off our "A Bouquet From The Cat" Kickstarter Project! Thanks to you, we have raised over one-third of our goal in just the first 48 hours! (and MOST IMPORTANT of all: make sure you don't miss the project video right at the beginning, starring yours truly)"
UPDATE: My Kickstarter Project is now live! Check it out at this link: "A Bouquet From The Cat"
Here's the thing: Your cat called, and wants you to have a beautiful bouquet of flowers because you are so adored (You know it's true!). So over the past summer I began creating a new series of illustrations called "A Bouquet From The Cat". I'd now like to offer these images as notecards and giclee prints to brighten up your office, den, or child's room. To raise the seed money for professional printing of 16+ images, I have created a Kickstarter campaign which will launch later today, Tuesday, November 12. I'll be posting the project link once it goes live this evening, sometime around 5 p.m. PST. Not familiar with Kickstarter? 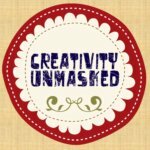 It's a fantastic website for creative people that enables us to raise funds for our creative projects, including films, games, music, art, books, design, technology, and more! Project creators like me set a funding goal and a deadline. 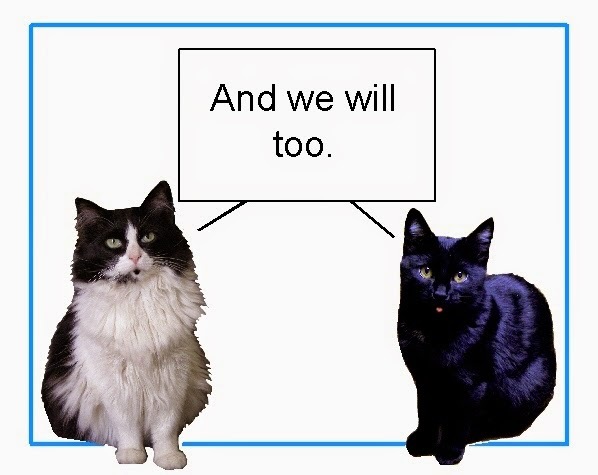 If people like you want to support a project, you can pledge money to make it happen. In return, each backer will receive rewards created by the project creator, based on the level of the pledge (in my case-- prints, notecards and some other surprises). It's a little like a PBS pledge drive (except your TV program won't be interrupted!). Funding on Kickstarter is all-or-nothing — projects must reach their funding goals to receive any money. Pledge money is collected through Amazon.com, but your credit card will only be charged if the project reaches its goal. I'll be posting my project link later today once it is launched. Thanks for your help!